I previously posted about a recycling workshop that will happen at Don Bosco Hall this Friday from 1 - 2 p.m. Since many people cannot attend due to work obligations, a second one has been added for Monday, April 11 from 6 - 7 p.m. in the Activities Building of Ss. Peter & Paul Church. 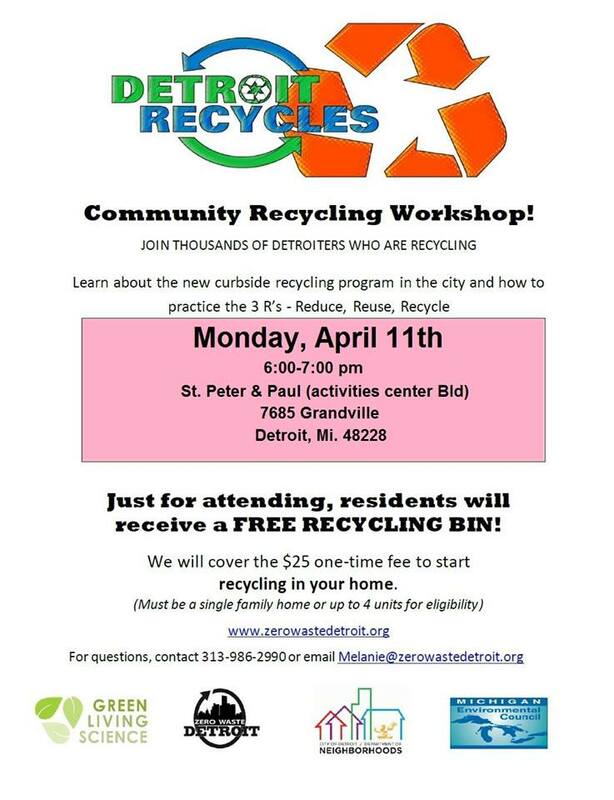 Eligible residents who attend either workshop will receive a free recycling bin. This will enable them to participate in the City of Detroit's curbside recycling program. A flyer for this workshop is located above. Please share it with your neighbors.